Shutters are one of the best solutions for children’s bedrooms and nursery’s. They can be quickly wipe cleaned helping to keep germs away and compared to curtains do not harbour dust mites that get caught in fabric. 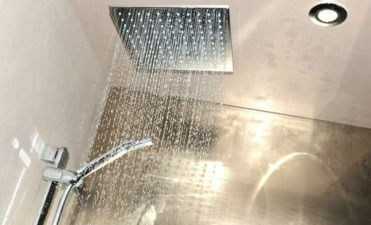 In turn this can really help against allergies such as asthma and generally contribute to a safer dust free environment. Curtains require dry cleaning or full washing to fully remove the dust, whereas wooden shutters can quickly and easily be cleaned with a wipe. 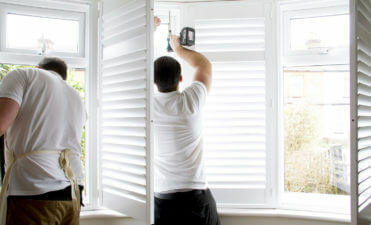 Shutters are also a very safe option with no tangling, ripping or cords that can be dangerous for children and babies. Because shutters rotate, there is no worry of injured or trapped fingers. 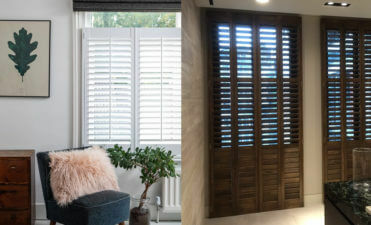 We consider our bespoke shutters as one of the safest methods of window dressings when kitting out a bedroom or nursery. With our bespoke shutters come highly adjustable louvres which are perfect for a young child’s room. Getting light levels perfect throughout the day and keeping privacy at the correct level day and night is another major factor when picking a suitable window dressing for your child. Mid afternoon naps and summer sunlight when the child goes to bed can make it very hard on both the child and parents. 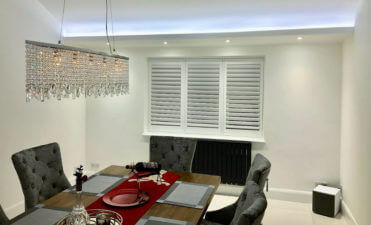 Our shutters allow for perfect adjustments and near complete blackout when needed so that you really can get the perfect level of light and privacy at all times. Because our shutters are completely bespoke we can discuss the exact requirements you need so that they function exactly as you need. When it comes to designs and colours we can work with your existing décor and ideas to finish the shutters in the perfect colour for the bedroom. 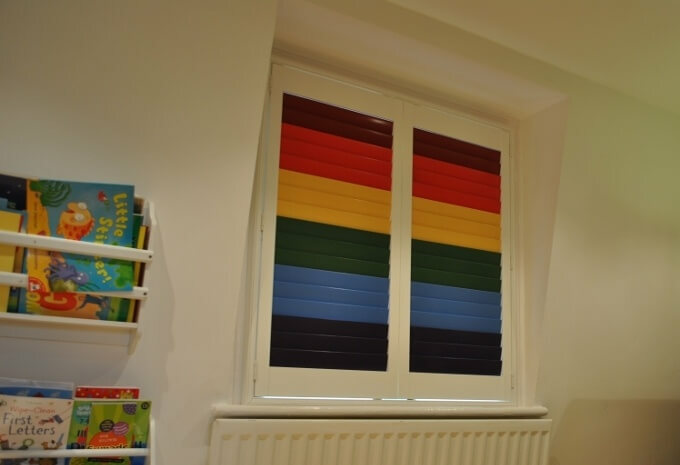 We can custom colour your shutters to be bright and colourful for slightly older children or finish in suitable pastel colours for new born babies. We have fitted this type of shutters to many children’s bedrooms and nurseries and know how important it is to get not only the finish perfect, but install a safe and perfectly functioning custom solution tailored around your needs.